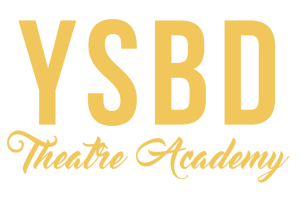 This policy applies to all YSBD Theatre Academy Staff, including senior managers who work for YSBD Workshops Ltd.
To protect children who receive YSBD Theatre Arts services. To provide staff with guidance on procedures they should adopt in the event that they suspect a child or young person may be experiencing, or be at risk of, harm. YSBD Workshops Ltd believes that a child or young person should never experience abuse of any kind. We have a responsibility to promote the welfare of all children and young people and to keep them safe. We are committed to practice in a way that protects them. Child abuse is the maltreatment of a child by another person – by adults or children. Somebody may abuse or neglect a child by inflicting harm, or by failing to act to prevent harm. Children may be abused in a family or in an institutional, educational or community setting by those known to them or, more rarely, by others unknown to them e.g. via the internet. Child abuse and neglectful behaviour can and does happen to children from any background, culture, class, ethnicity or faith and can be physical, sexual or emotional. It is important that everyone involved in recognising the signs of child abuse understand the physical indicators and symptoms. Most children will collect cuts and bruises as part of the rough-and-tumble of daily life. Injuries should always be interpreted in light of the child’s medical and social history. Most accidental bruises are seen over bony parts of the body e.g. elbows, knees, shins and are often on the front of the body. Some children, however, will have bruising that is more likely to be inflicted rather than accidental. Indicators of physical abuse could include bruises or injuries that are either unexplained or inconsistent with the explanation given, or visible or the ‘soft’ parts of the body where accidental injuries are unlikely, this could be on their cheeks, abdomen, back and buttocks. Physical abuse may involve hitting, shaking, throwing, drowning, burning or scalding, poisoning, suffocating, or otherwise causing physical harm to a child or failing to protect a child from that harm. Physical harm may also be caused when a parent or carer fabricates the symptoms of, or deliberately induces illness in a child. Sexual abuse involves someone forcing or enticing a child to take part in sexual activities, not necessarily involving a high level of violence, whether or not the child is aware of what is happening. In fact, the majority of children who are sexually abused by a carer will have no visible signs at all, due to the attacker not wanting to leave evidence, amongst many other reasons in the grooming process. Sexual abuse is not solely perpetrated by adult males; women can also commit acts of sexual abuse, as can other children. The activities may involve physical contact including both penetrative and non-penetrative acts such as masturbation, kissing, rubbing and touching the outside of clothing. They may also include non-contact activities, such as watching sexual activities, encouraging children to behave in sexually inappropriate ways, involving children in looking at, or in the production of, sexual images and grooming a child in preparation for abuse (including via the internet). Emotional abuse is the persistent emotional maltreatment of a child such as to cause severe adverse effects on the child’s health and emotional development. It may involve conveying to children that they are worthless or unloved, inadequate, or valued only insofar as they meet the needs of another person. Emotional abuse can be difficult to measure, as there are often no outward physical signs. Indicators of emotional abuse may include interactions that are beyond the child’s developmental capability, as well as overprotection and limitation of exploration and learning, or preventing the child from interacting socially with other children or adults. It could involve rejecting or ignoring a child completely, using degrading language or behaviour towards them, threatening or bullying them and encouraging them to develop behaviours that are self-destructive. Emotional abuse also includes radicalising a child or young person who may be subsequently drawn into terrorist-related activity. People, who work in specified occupations, including health and education, must report it if they suspect someone is being drawn into terrorism (known as the Prevent duty). Neglect can be a difficult form of abuse to recognise, yet it can have some of the most lasting and damaging effects on children. One in 10 children have experienced neglect and neglect is a factor in 60 percent of serious case reviews. Neglect is the persistent failure to meet a child’s basic physical and/or psychological needs, likely to result in the serious impairment of the child’s health or development. The physical signs of neglect may include constant hunger, sometimes stealing food from other children constantly dirty or ‘smelly’, loss of weight, or being constantly underweight and inappropriate clothing for the conditions. The following changes in behaviour in a child or young person may indicate neglect and these include complaining of being tired all the time, not requesting medical assistance and/or failing to attend appointments, having few friends and mentioning being left alone or unsupervised. These definitions and indicators are not meant to be definitive, but to be viewed as guidance. It is important to remember that many children may exhibit some of these indicators at some time and that the presence of one or more should not be taken solely as proof that abuse is occurring. There are many kinds of support available to children and young people who have experienced abuse once it has been disclosed or identified. Working in partnership with children, their parents and other agencies is essential in promoting young people’s welfare. Providing a happy and safe environment where children can learn disciplines in the performing arts. Adopting child protection practices through procedures and forming a Rules and Regulations for staff to follow. Guarantee that students will receive expert tuition from professional and qualified teachers. Provide accommodations following safe practice and carry out our necessary risk assessments weekly. Provide effective management for staff through supervision, support and training. Recruiting staff safely, ensuring all necessary checks are made. All teachers working for YSBD Workshops Ltd will hold a DBS certificate (Disclosure and Barring Service) and be taken through an interview process to ensure the best quality and safety of our students. Sharing information about child protection and good practice with children, parents and staff. against any member of staff, which must be reported immediately to the Principal of YSBD who is the DSL (Designated Safeguarding Lead). that relate to staff who are no longer at the school, including those who have been dismissed (or resigned but would have been dismissed) due to safeguarding concerns, which will be referred to the police. YSBD has a specific policy in relation to Whistleblowing. Staff will be made aware of their duty and feel able to raise any concerns about poor or unsafe practice and potential failures in the School’s management of child protection and safeguarding, which may include the attitude or actions of colleagues. Such concerns should be raised with the Principal and Safeguarding officer. If it becomes necessary to consult outside the School, they should speak in the first instance to the LADO. General guidance can be found on the NSPCC whistleblowing helpline on 0800 028 0285, which is available from 08.00 – 20.00 Monday to Friday or by email help@nspcc.org.uk. behaved towards a child or children in a way that indicates he/she would pose a risk of harm to children. Refer safeguarding concerns in relation to peer on peer abuse to the Principal/DSL to ensure the most appropriate action is taken without delay. If a member of staff is unsure who to refer to, they should always share their concerns with the DSL in the first instance. If physical abuse is suspected, a Body Map can be used to record the site and extent of any injury that has been noticed. The DSL will take the most appropriate course of action with due regard to the legal and statutory guidance and in consultation with External Agencies. Allegations against a teacher who is no longer teaching will be referred to the Police. Allegations of historical abuse will also be referred to the Police. In the first instance, the Principal/DSL will call an Initial Consideration Meeting to discuss any allegation and consider the nature, content and context of the allegation and agree a course of action. Many cases will not warrant consideration of either a Police investigation, or enquiries by Local Authority Children’s Social Care Services. The School will still follow Local Authority procedures for resolving the case without delay. In borderline cases, discussions with the LADO will be held informally and without naming the School or the individual. The DSL will provide or obtain relevant information such as previous history, whether the child or their family have made previous allegations before and the individual’s current contact with children. Members of staff will involve the Police straight away if the Principal is deemed to be an immediate risk to children, or if there is evidence of a possible criminal offence. In the event that an external agency informs YSBD of an allegation that has been made that they are investigating the school, YSBD will cooperate fully and seek guidance from the LADO and the Police to find out how best to proceed. a Case Manager will be appointed. This will usually be the Principal/DSL and in the event that the allegation is against the Principal it will be referred to LADO. The Principal/DSL will have overall responsibility for oversight of the procedures for dealing with allegations. The Principal/DSL will provide advice and guidance to the Case Manager. The Case Manager will keep a clear and comprehensive record of any allegation along with outcomes on the confidential personnel file of the member of staff being investigated. The initial sharing of information and evaluation may lead to a decision that no further action is to be taken in regard to the individual facing the allegation or concern. Either the Case Manager or the Principal/DSL will record this decision and a justification for it and agreement reached on what information should be put in writing to the individual concerned and by whom. The Principal/DSL or Case Manager should inform the accused person about the allegation as soon as possible after consulting with the DSL. Where a strategy meeting is needed due to police or children’s social services involvement, the Case Manager should wait until all agencies have been consulted and have agreed on what information can be disclosed to the accused. The school will consider carefully whether the circumstances warrant an immediate suspension. Where it is clear that an investigation by the police or children’s social services is unnecessary or the initial evaluation decides that is the case, the Principal/DSL will discuss the next steps with the Case Manager. This could range from taking no further action to dismissal or a decision not to use the person’s services in future. Suspension will not be the default position. In some cases further enquiries will be needed to enable a decision about how to proceed. YSBD has a duty of care to its employees and will provide effective support, minimising the stress inherent in the allegations process. The Principal/DSL or the Case Manager will provide a named representative to keep the person who is the subject of the allegation informed of the progress of the case and consider what other support is appropriate for the individual. The individual should be advised to contact their trade union representative, if they have one. In the event of suspension, the ‘Case Manager’ will take particular care to ensure that the employee is kept informed of both the progress of their case and current work-related issues. Social contact with colleagues and friends will not be prevented unless there is evidence to suggest that such contact is likely to be prejudicial to the gathering and presentation of evidence. YSBD will deal with any allegation of abuse made against a teacher, member of staff or volunteer very quickly, fairly and consistently, providing effective protection for the child and at the same time supporting the person who is the subject of the allegation. Parents or carers of a child or children involved will be told about the allegation as soon as possible, if they do not already know of it, with the permission of the Police/Children’s Social Care Services, if applicable. Confidentiality: The School will make every effort to maintain confidentiality and guard against unwanted publicity while an allegation is being investigated or considered. The Education Act 2002 introduced reporting restrictions preventing the publication of any material that may lead to the identification of a teacher who has been accused by, or on behalf of, a pupil from the same school. The reporting restrictions apply until the point that the accused person is charged with an offence, the Secretary of State publishes information about an investigation or decision or the individual waives their right to anonymity by going public themselves. how to manage press interest if and when it should arise. Record Keeping: Details of allegations that are found to have been malicious will be removed from personnel records. However, for all other allegations, a clear and comprehensive summary of the allegation, details of how the allegation was followed up and resolved, and a note of any action taken and decisions reached, will be kept on the confidential personnel file of the accused, and a copy provided to the person concerned. The purpose of the record is to enable accurate information to be given in response to any future request for a reference, where appropriate. It will provide clarification in cases where future DBS checks reveal information from the police about an allegation that did not result in a criminal conviction. The record will be retained until the accused has at least reached normal pension age or for a period of ten years. References: Cases in which an allegation was proven to be false, unsubstantiated or malicious will not be included in employer references. Timescales: The School will aim to resolve cases as quickly as possible consistent with a fair and thorough investigation. All allegations will be investigated as a priority to avoid any delay. Monitoring: The DSL will have overall responsibility for oversight of the procedures for dealing with allegations, for resolving any inter-agency issues and for liaison with the LSCB. The DSL will provide advice and guidance in addition to liaising with the Police and other agencies, and monitoring the progress of cases to ensure they are dealt with as quickly as possible, consistent with a fair and thorough process. Suspension: In some rare cases, the Principal/DSL will consider suspending the accused until the case is resolved. Suspension will not be an automatic response when an allegation is reported; all options to avoid suspension will be considered prior to taking that step. Suspension will only be considered where there is cause to suspect a child or other children at the School is/are at risk of harm or if the case is so serious that it might be grounds for dismissal. If immediate suspension is considered necessary, the rationale and justification for such a course of action should be agreed and recorded by both DSL and LADO. Children’s Services and the Police cannot require the Case Manager to suspend a member of staff or volunteer but they should be contacted for advice. Information Sharing: In a strategy discussion or initial evaluation of the case, the agencies involved should share all relevant information they have about the person who is subject of the allegation, and about the alleged victim. Where the police are involved the employer should ask police to obtain consent from the individuals involved to share their statements and evidence for use in the School’s Disciplinary Process. This should be done as their investigation proceeds. Following a Criminal Investigation or Prosecution: The Police should inform the Principal/DSL immediately when a criminal investigation and any subsequent trial is complete, or if it is decided to close an investigation without charge, or not to continue to prosecute the case after a person has been charged. In those circumstances, the Principal/DSL will decide whether any further action, including Disciplinary Action, is appropriate and if so, how to proceed. The information provided by the Police and/or Social Services should inform that decision. Conclusion of a case: Every effort will be made to reach a conclusion in all cases of allegations bearing on the safety or welfare of children. Unfounded: no evidence or proper basis which supports the allegation being made. Indication that the person making the allegation misinterpreted the incident or was mistaken about what they saw, or were not aware of all of the circumstances. YSBD recognises its legal duty to refer to the DBS where they think that an individual has engaged in conduct that harmed or is likely to harm a child; or if a person otherwise poses a risk of harm to a child. Referrals will be made as soon as possible after the resignation or removal of the individual. If an allegation is determined to be unsubstantiated or malicious, the Principal/DSL will refer the matter to Children’s Social Care Services to determine whether the child is in need of services, or may have been abused by someone else. If an allegation is shown to be deliberately invented or malicious, the Principal/DSL will consider whether any disciplinary action is appropriate. Where it is decided that the person who has been suspended can return to work, the Principal/DSL will provide help and support for the individual. A phased return may be appropriate. Consideration will be given to how the person’s contact with the child or children who made the allegation can best be managed. At the conclusion of a case in which an allegation is substantiated, the Principal/DSL will review the circumstances of the case to determine whether there are any improvements to be made to the School’s procedures or practice to help prevent similar events in the future. The School will also review the circumstances in which a decision was made to suspend the member of staff and whether the decision was justified. If the individual is reinstated the Principal/DSL will consider how future investigations of a similar nature can be carried out without suspending the individual. Police on 0161 872 5050 or in an emergency by dialing 999. Safeguarding in Schools Leads Local Authorities often have arrangements where at least one member of staff has some responsibility for advising or supporting schools to ensure their safeguarding practice is up to date and of the highest standards. These positions sit within the Local Authority but can be within various teams and work in partnership with other agencies that come into contact with early years, school or college children. Many will also support Pupil Referral Units (PRU) and other establishments which work with children in an educational setting, both private and Local Authority maintained. See below for details of a contact in those LA areas that have an identified member of staff. YSBD Workshops Ltd will adhere to the following Rules and Guidelines with regards to Media Permission for Photography and Filming of students/clients during YSBD Workshops Ltd classes. Any use of media footage such as images, videos, vocal recordings of children/clients cannot be used on YSBD Workshops Ltd social media pages (Website, facebook page, twitter and for promotional/publicity reasons) unless a media permission form has been signed and completed by a parent/guardian. Images of children posted on our website, facebook page, twitter and/or other YSBD Workshops Ltd social media sites will not contain any personal information unless permission is given by the parent/guardian. Anyone who is unhappy with any media posted on our YSBD Workshops Ltd sites can speak to the YSBD Workshops Ltd Child safeguarding officer and the media will be removed instantly. If anyone deems the images or videos to be inappropriate they can report this to the YSBD Workshops Ltd Child Safeguarding Officer and action will be taken to report the matter to the appropriate authority. For more information about our Media use please see our Image Use Policy. YSBD Workshops Ltd principal, Hannah Goodwin, is YSBD Theatre Academy’s Safeguarding Officer. She holds a certificate in Level 1 Safeguarding Children credited by CPD (The CPD Certification Service). She is responsible for all of the children and child protection at YSBD Theatre Academy. She can be contacted at any time on 07738164232. We are also committed to reviewing our policy and good practice annually. This Policy was last reviewed on July 13th 2018. Our policy was written and based upon the guidelines set from Firstcheck, NSPCC 2006 Child Protection Policy.